Yesterday I took my coupe in for a "minor" or so I thought problem with dash SVD/SLIP/BRAKE lights coming on intermittently while driving, left it to be diagnosed and got a call back that it was rear brakes, I decided to let them fix it and when I went back to get it, got my bill and it was little under a grand but, what kinda floored me was the [email protected] labor charge, my how things have gotten more expensive. Guess I should have ck'd here 1st...ah, well, live and learn Is this rate pretty standard around the country? Wow, that is ridiculous and I remember the few times I did bring it to the dealer it was about 100-125. That was a very long time ago though and I can't imagine spending 155 dollars today; I'm pretty grateful that when I do need to bring it to my mechanic he only charges 75. I do all my work myself pretty much, unless I don't have time, will, or correct equipment (ie: lift). 2. Find a reliable shop. $90/hr at a competent Meineke shop and at Nisstech who is Nissan/Infiniti specific. Can you give a breakdown of the charges - labor and parts ? A rear brake job at a dealer would probably run ~$300 and obviously more if they convinced you your rotors needed replacing. But there's so much mark-up in that job you'd think they could have cut you some slack on the "diagnostic" part of the job. I have to believe that their Nissan-specific diagnostic equipment was probably able to tell them the cause so it could have been nothing more than plugging in their tool. Does anyone know how/why worn-out rear brakes would cause these lights to come on ? My local dealer charges $279 for brakes on each axle and includes turning the rotors. 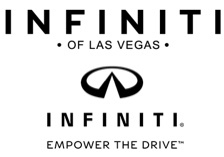 $155.00 labor charge is lower than the usual $160/hr that Infiniti usually charges. You could always go to Jiffy Lube or Pep Boys and really get fvcked. I got powerstop cross drilled & slotted rotors + carbon ceramic pads, boots and clips all around for $330 & installed'em myself. Gave the me opportunity to file down the pads ears a bit and pay close attention to where and how much sil-glide to use. Superior products and superior install for just a little more than paying some jackass to reuse old parts and haphazardly slapping **** back together to get it out the door and ring the register. I'm sure you got a lot of satisfaction by installing them yourself but I'd be curious to know if you can get 85k-90k miles on those pads and rotors. On my previous 2012 G37S the original brake pads were still on the vehicle when i traded it in at 94444 miles with about 5mm still left on the pads.With my two previous Infiniti's that were stick shift vehicles, I downshifted frequently to avoid using the brakes whenever possible. For everyday driving and commuting what is the purpose of switching to drilled rotors? 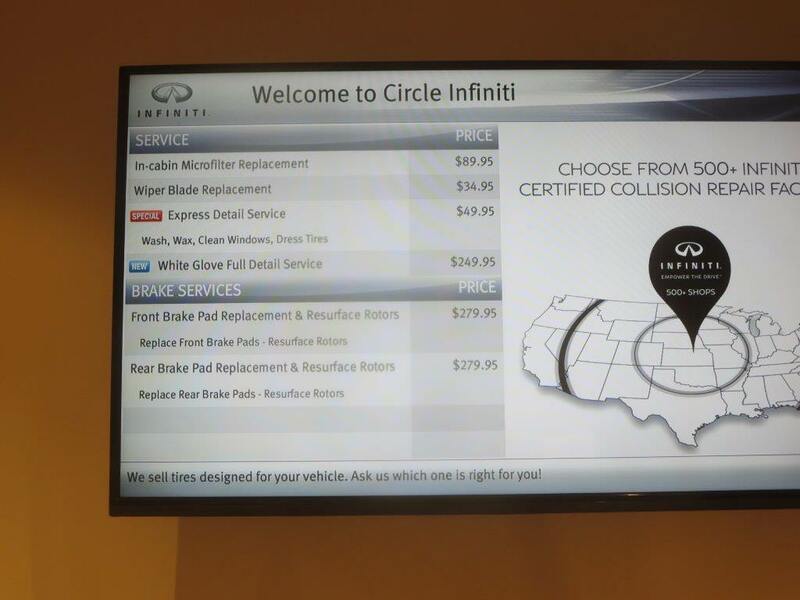 I'm on my third Infiniti from the same dealer and I trust their experienced technicians to work on my vehicle. Infiniti uses quality parts and their are numerous posts of others that tried cheaper parts and then found out they don't work well. On my current Q70 I frequently use manual mode to use a lower gear to slow my vehicle which will also extend brake pad life. Perhaps you drive like many on the road that I see accelerating sharply with a red signal up ahead only to have to slam on their brakes to stop at the next signal? You realize that some people don't want to work on their cars or don't know how or simply can't (no tools, location, etc) ? Telcoman, either you never apply the brakes or you've got the infamous "super brakes" that nobodies ever heard about. I switched to cross drilled & slotted rotors because they look cool, they're lighter and I read that by doing so, they'd stop squeaking in reverse which oddly enough they did. For the price of having a shop or dealer replace these wear and tear items I chose to use the $ for the rotors, pads and stainless steel brake lines. I'm no harder on my brakes than average joe. Anybody can work on their anything. If they'd rather pay to have it done, well, that's why there's so many shops. If they're physically incapable then that's unfortunate. I do a better job with nearly everything I do because it's mine. That doesn't mean I don't **** up every once in a great while. "Hey, were'd that scratch come from?" "WTF? My transmission was working fine BEFORE I brought the car to the dealer". "Mr. dealer, your mechanic scratched my car and/or did something to my transmission." Good luck with these types of scenarios. A year after the part the mechanic broke that was totally unrelated to what he was fixing finally fails. Who pays? You, and at these rates, you pay big $. I recall bring my FX in for a head light recall campaign. The mechanic pried my bumper off with a flat headed screw driver. Two marks on either side were very visible. Pretty easy thing to do, removing the bumper that is. "But he's our best mechanic" says the pecker head service writer who couldn't give 2 ***** either way. I think if people paid 1/2 the amount of attention I do, they'd see things my way but sometimes ignorance truly is bliss and it's probably better that way but I cannot go back. Please don't read too much into my style of writing. Don't mean to come across as insulting. I just cannot stand shops and dealers, can give way too many examples of poor work done and damage done and like to encourage others to do for themselves. It's not that hard and is very gratifying. Below are the details for the suggested services. Please contact me with any questions you may have. You can do all of those yourself with minimal tools and just some time in your driveway/garage; I know I did them (front/rear shocks, fluid flushes, compression rods, and micro filter). The diff bushing breaking is common as well and can be done as well, but it would seem like a PITA to do on your back. you didnt bother to ask how much it will cost? As the brake pads wear and become thinner the brake caliper piston extends further to compensate, this takes hydraulic brake fluid to extend the caliper piston and it causes the brake fluid reservoir level to drop. There is a limit switch inside the system to measure fluid level and when it reaches the low limit it triggers the VDC/SLIP light.